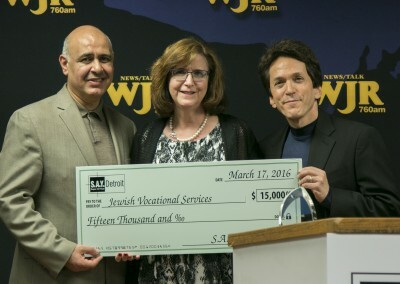 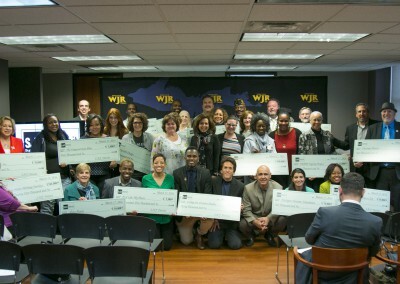 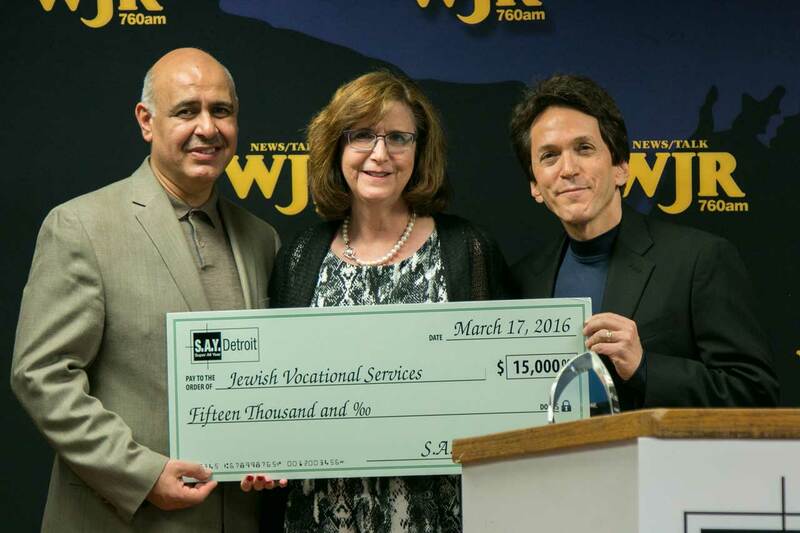 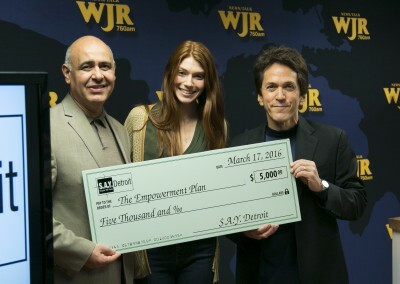 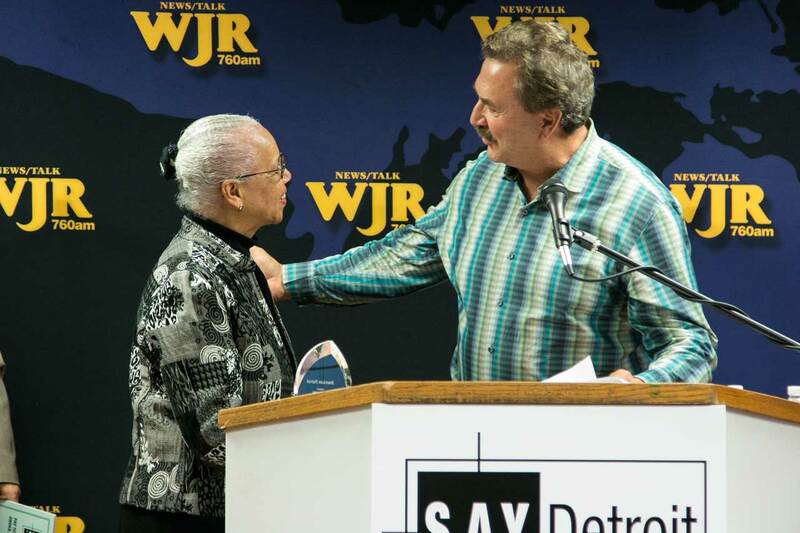 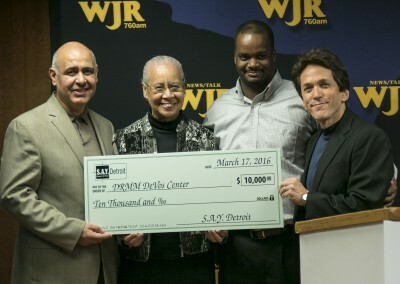 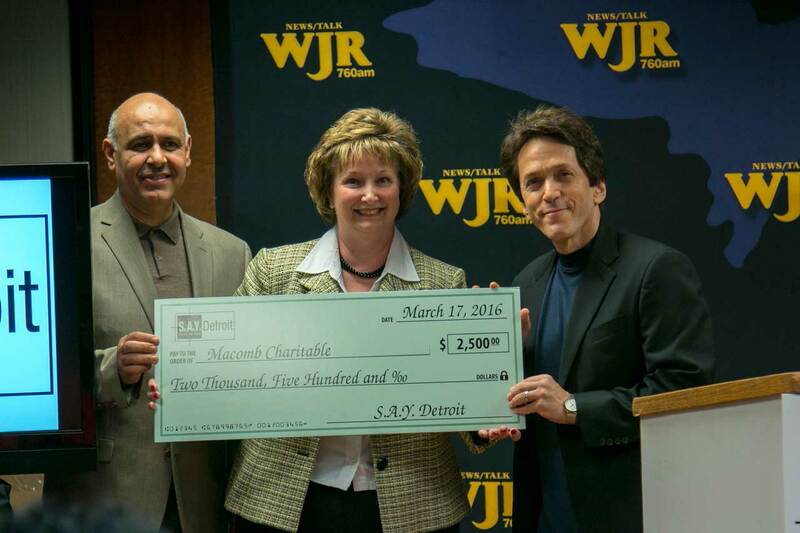 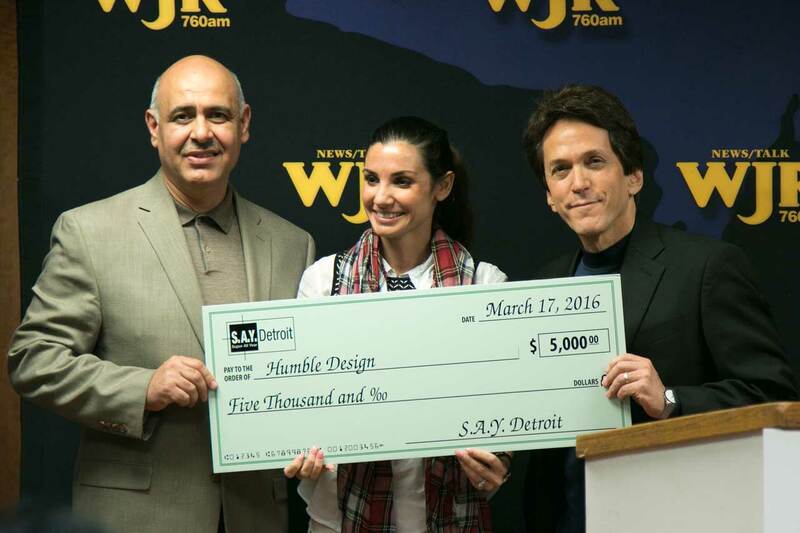 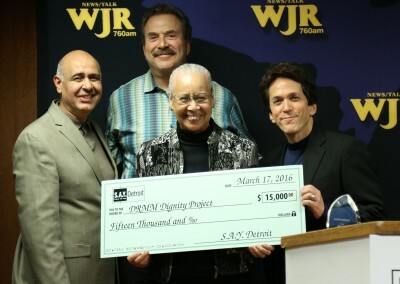 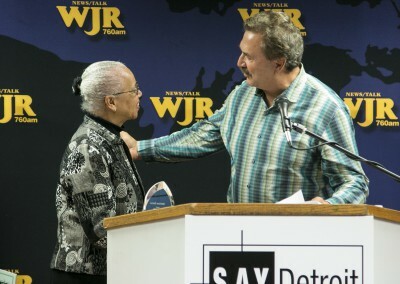 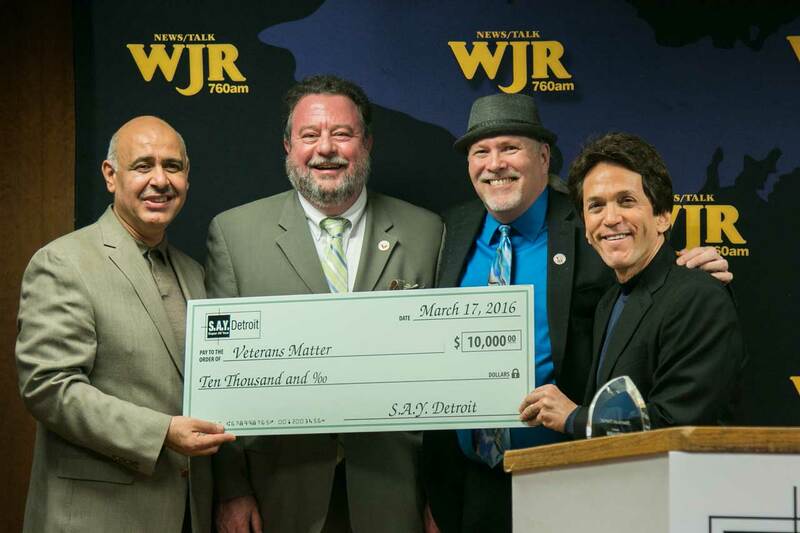 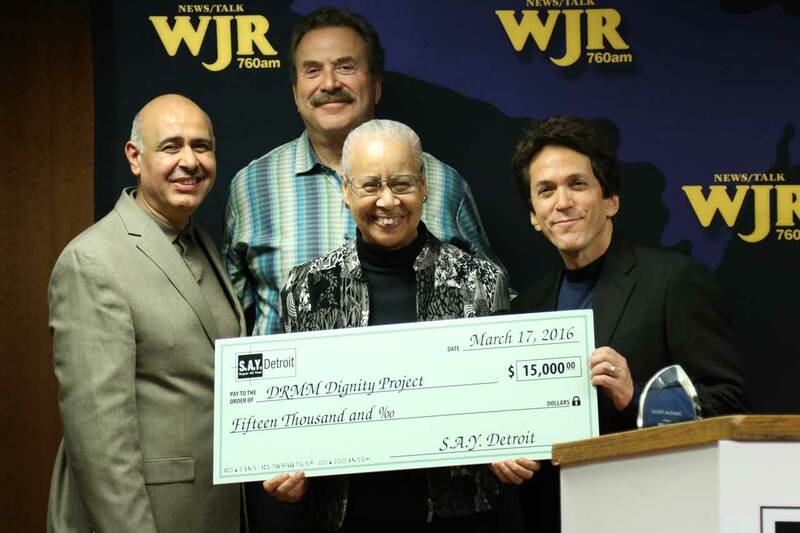 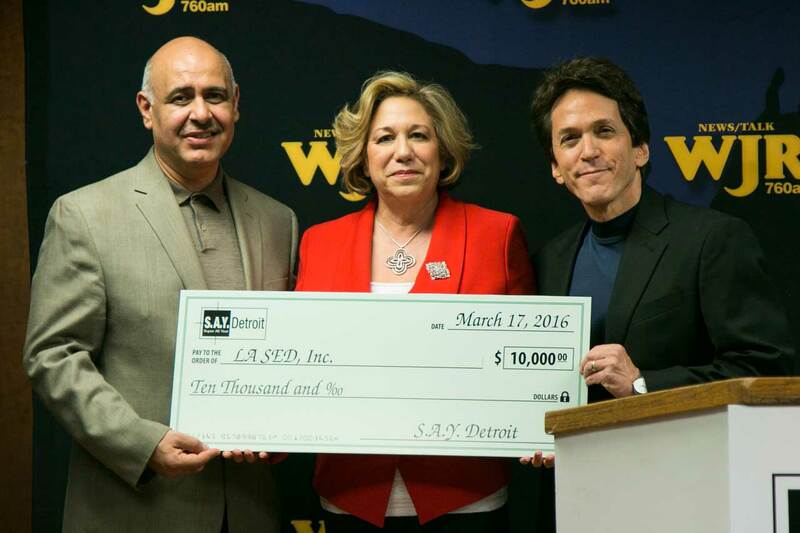 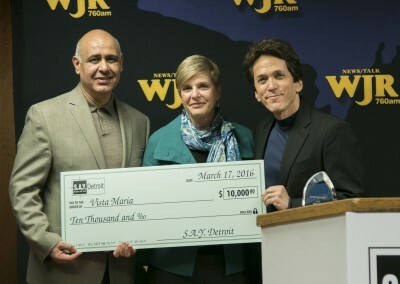 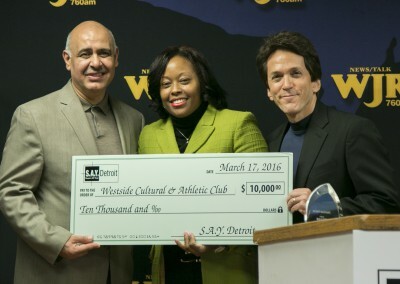 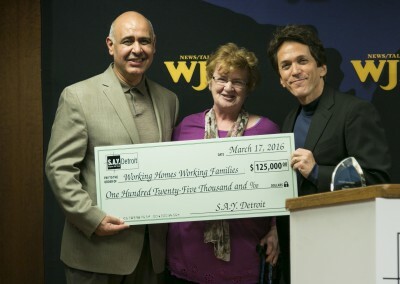 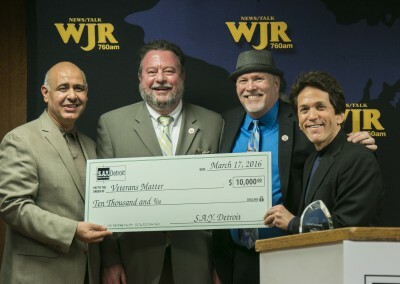 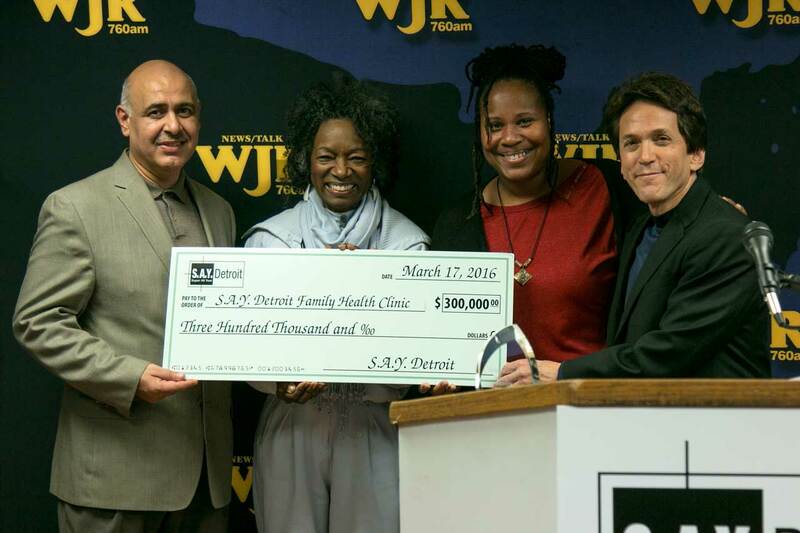 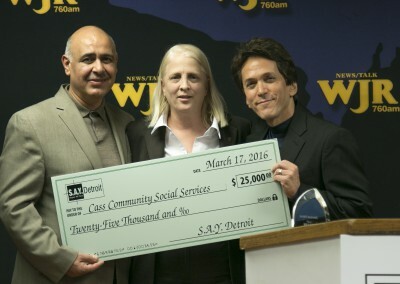 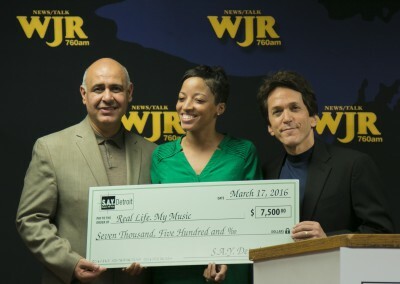 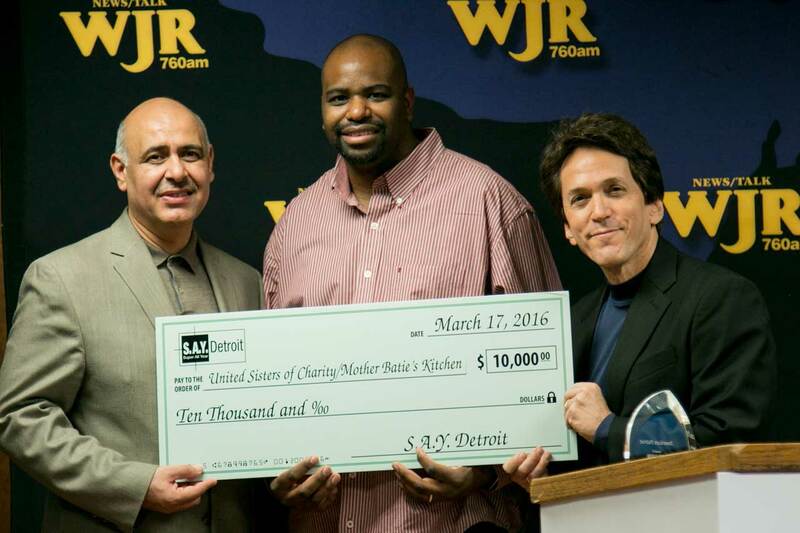 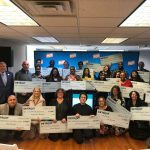 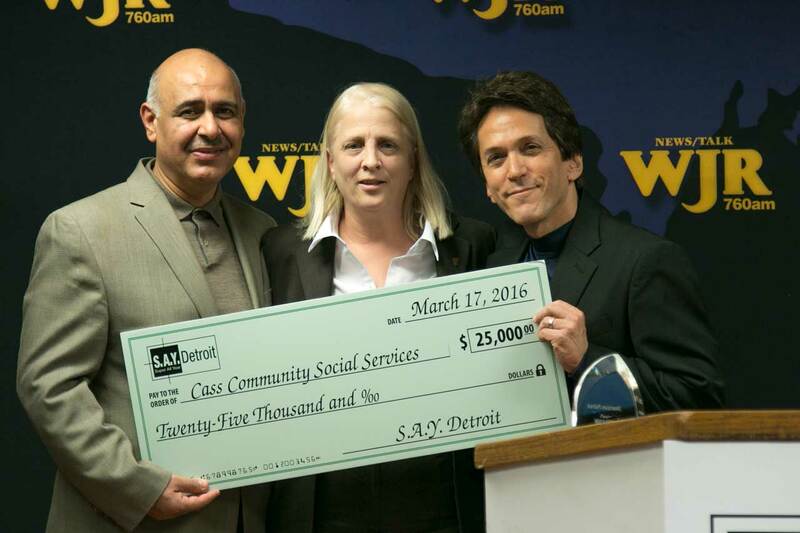 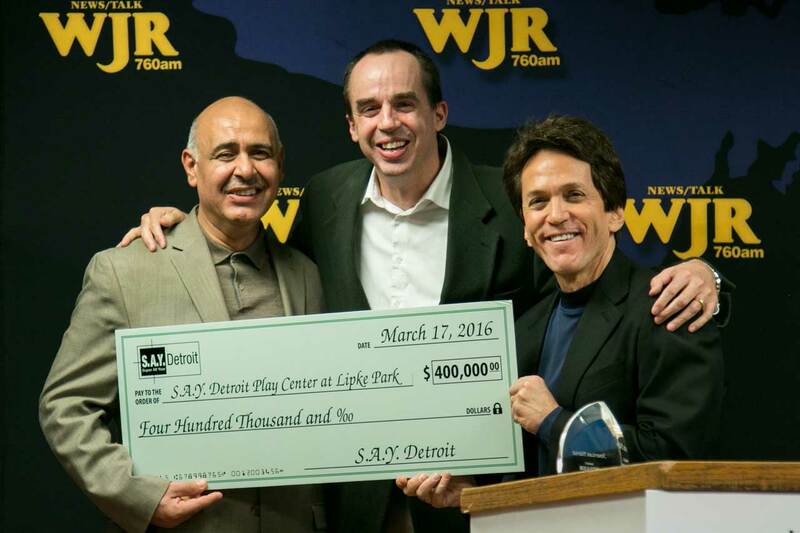 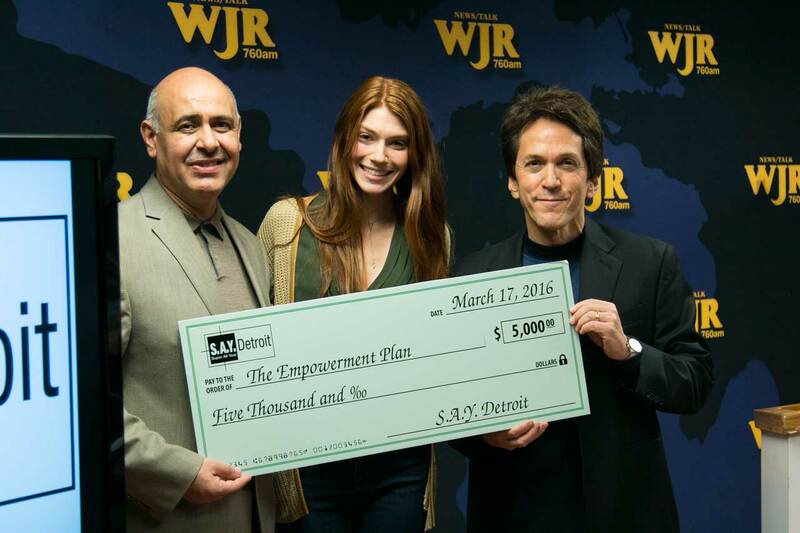 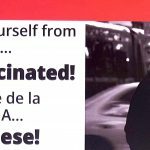 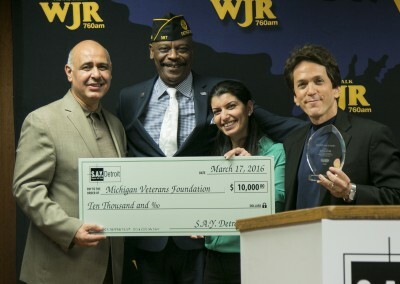 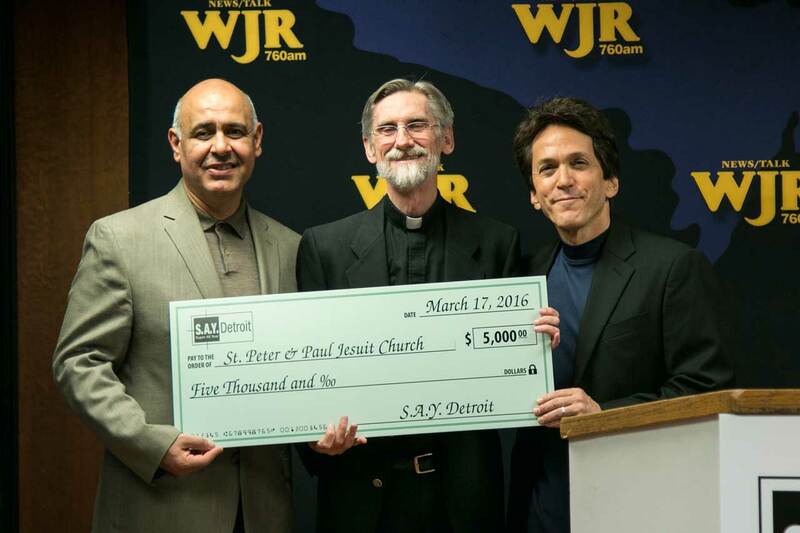 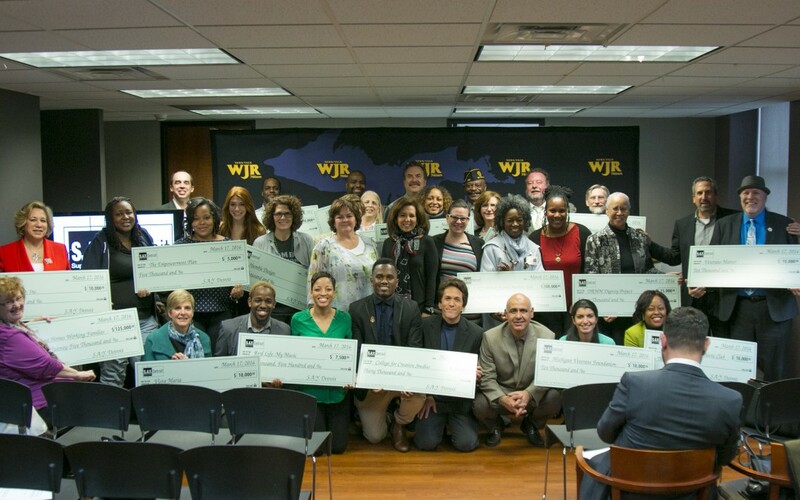 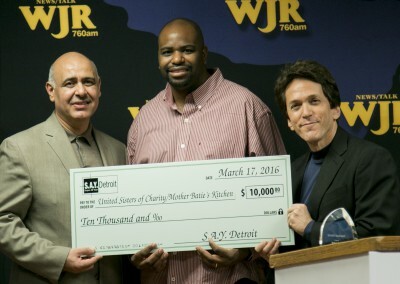 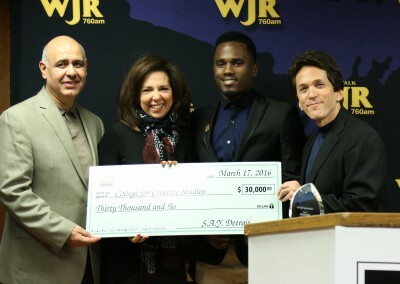 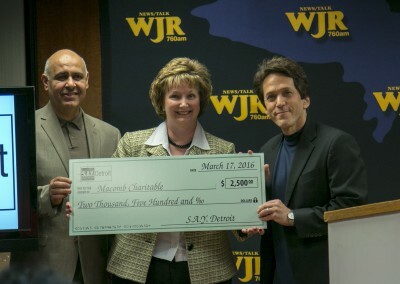 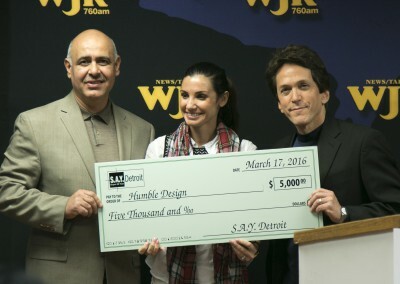 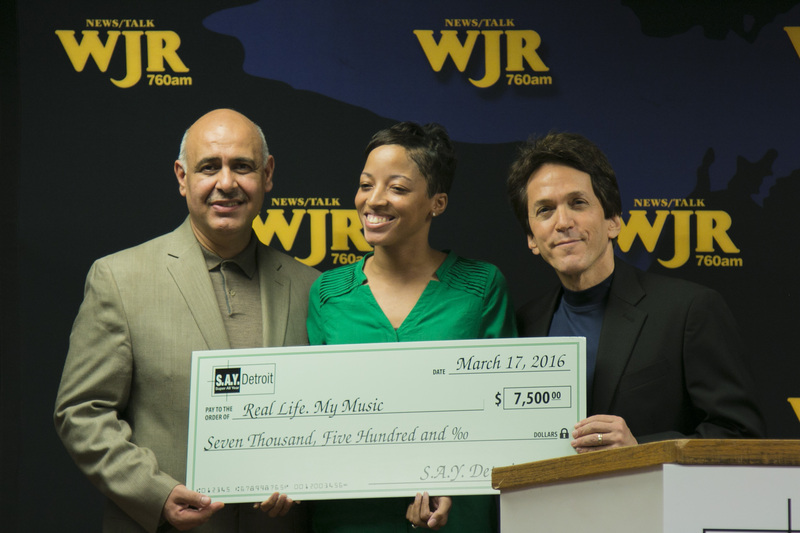 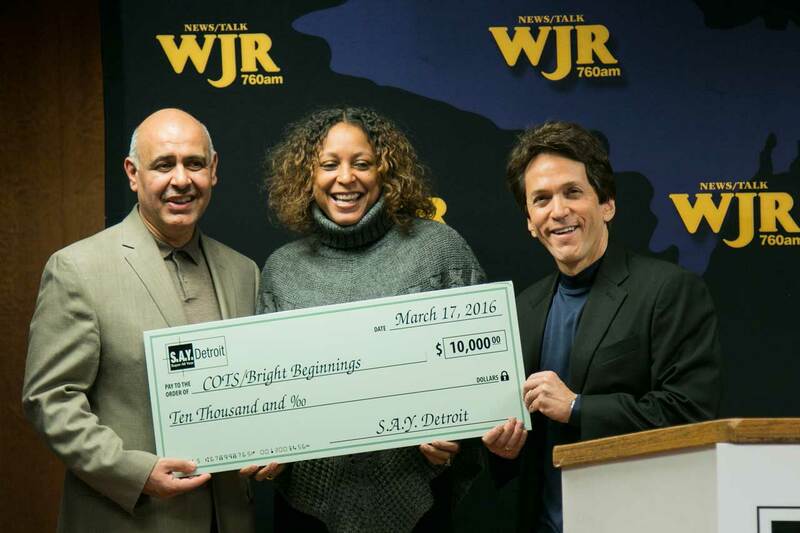 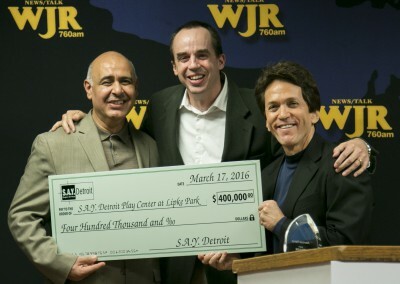 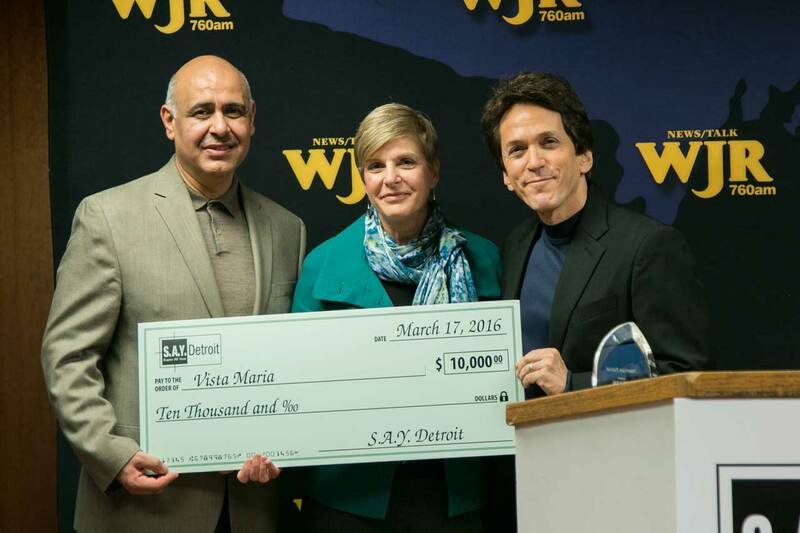 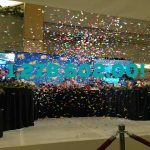 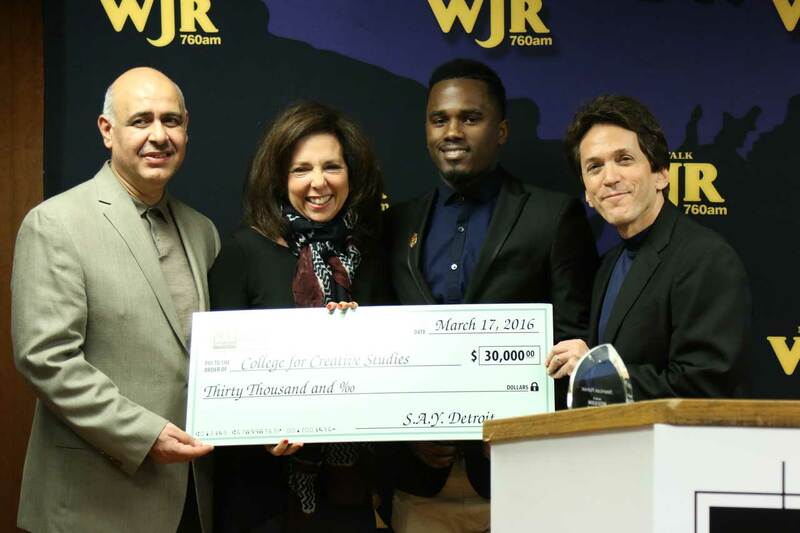 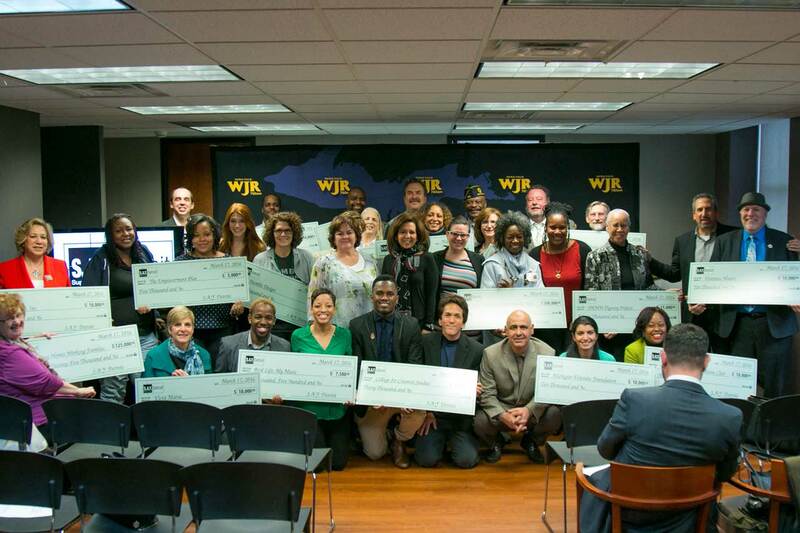 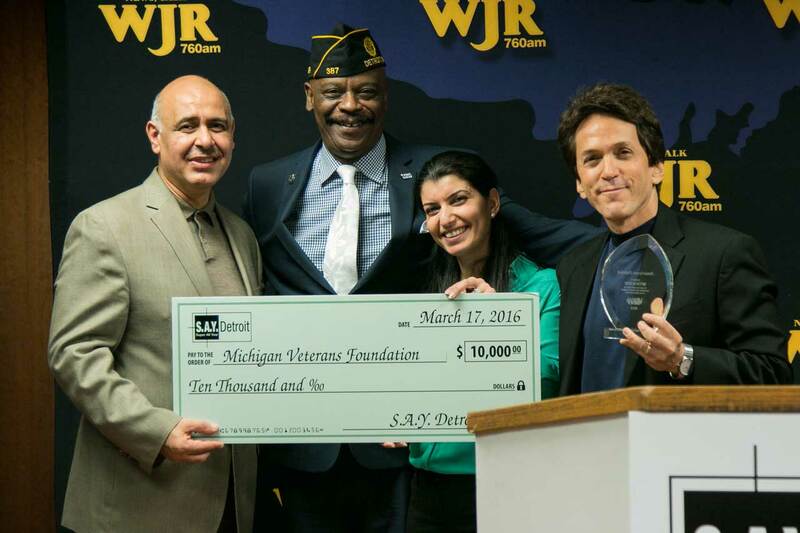 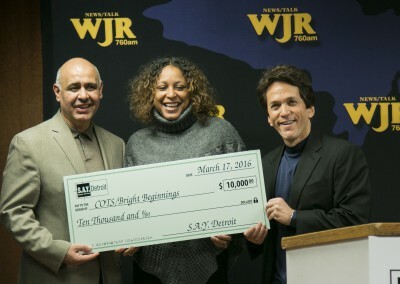 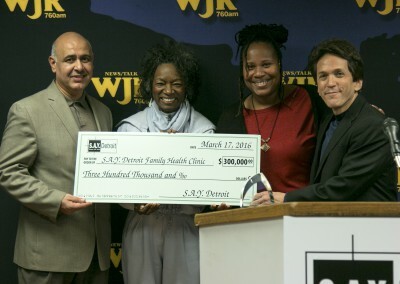 Detroit, Michigan – March 17 – Representatives from 20 area charities gathered Thursday at the Fisher Building to accept checks totaling more than $1 million in donations raised at Mitch Albom’s fourth annual S.A.Y. Detroit Radiothon last December. 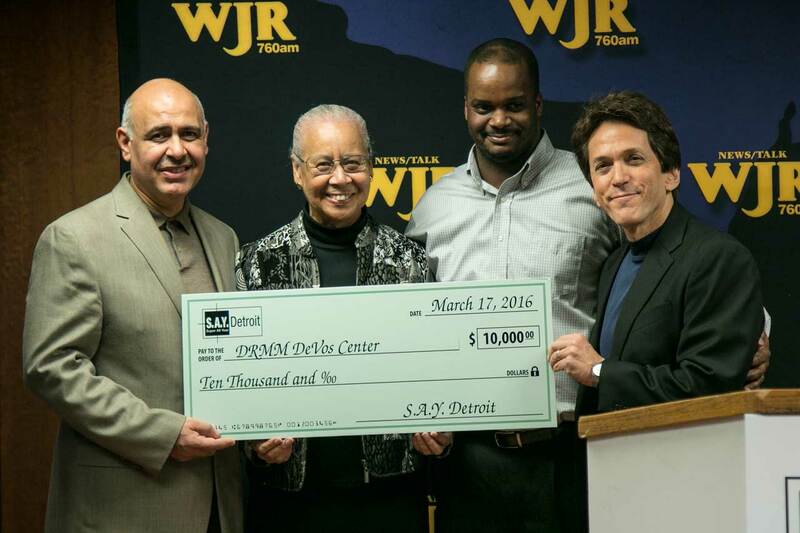 This year’s fifth-annual Radiothon is scheduled for Dec. 8 at the Somerset Collection in Troy. 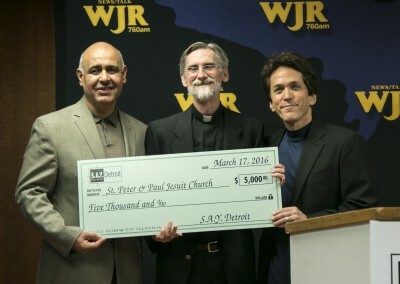 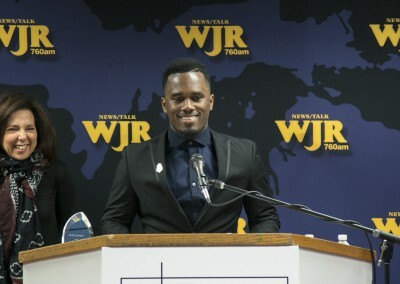 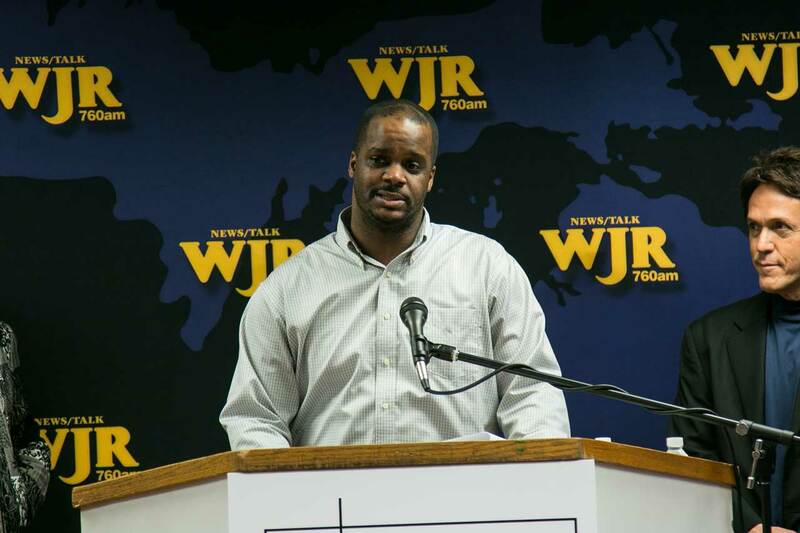 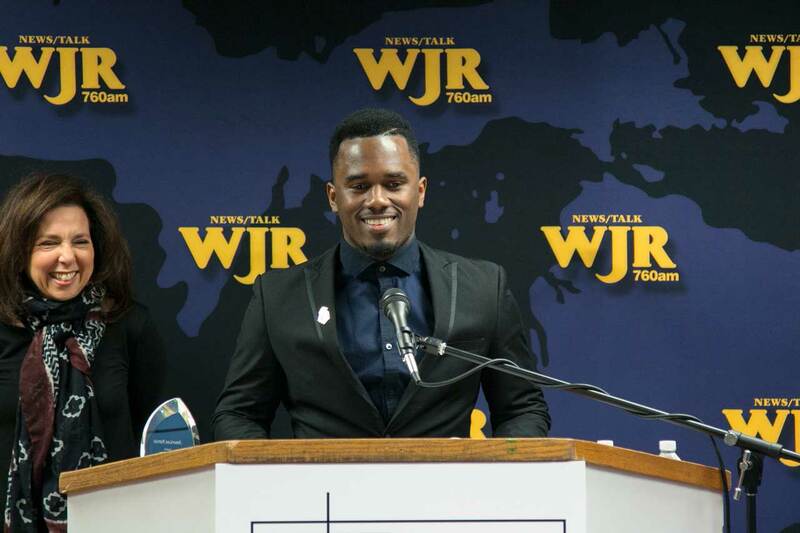 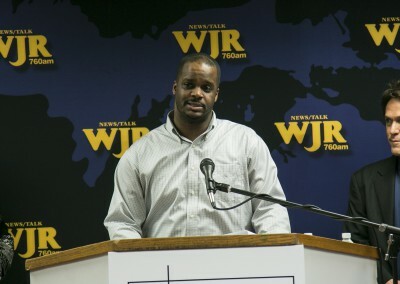 It will be broadcast live over 15 hours on WJR 760AM.